McManus Cabinet Refacing is a service of McManus Kitchen and Bath, a design/build remodeling company in Tallahassee, FL. How Long Do Cabinets Last? Quality kitchen cabinets have a lifespan of about 15 to 20 years. Lower quality, builder grade cabinets, can wear out much quicker. Common issues are cabinet doors that don’t close well, noisy drawer slides and finishes that are dull and worn. Older kitchens also lack the custom organizers and lighting that are common in today’s homes. Traditional kitchen remodeling is an “all or nothing” process. Once your tear out the cabinets you also have to replace the countertops, plumbing, repair drywall, flooring etc… Not only is this expensive but it means living without your kitchen for 4 to 6 weeks. Cabinet refacing can be a great alternative to cabinet replacement. It is not an “all or nothing” solution. You can update the look and function of your kitchen without replacing your countertops or removing your existing cabinets and fixtures. 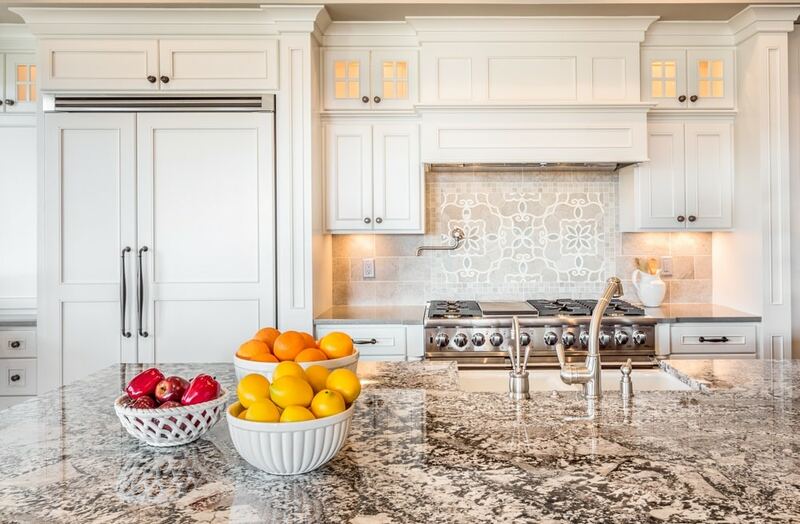 When is Cabinet Refacing the Right Choice? With cabinet refacing your current cabinets stay in place. We replace your doors and drawer fronts and cover the rest of your cabinets with custom panels and trims. There is no tear out and you can keep using your kitchen throughout the project. Cabinet refacing is great when you like the current layout of your kitchen but need to update the look and function. Maybe your hinges and glides are worn out or the cabinet look dingy, cabinet refacing is a great solution. Cabinet refacing is also less disruptive since your kitchen remains functional throughout the project. So if you have small children or other loved ones you care for and can’t imagine not having a kitchen for 6 weeks or more then refacing is a good option. When is Cabinet Refacing Not the Best Choice? If you need to dramatically change the layout of the your kitchen new cabinets are probably a better option. Also if you want to replace your flooring, countertops, lighting etc… as part of the reface you may want to also look at new cabinets. The cost could be similar since you are planning to demo the counters and do those other things. If you look at just the material costs s custom cabinet reface costs about as entry level new cabinets. However new cabinets come with additional costs like demo, plumbing, new counters, tile etc… With cabinet refacing that is not the case. You can replace your counters and reface your kitchen, but you don’t have to. Our average reface cost is around $15,000 – $18,000 for a mid sized kitchen in Tallahassee. Small kitchens can cost as little as $10,000. We’ve refaced large kitchens for $40,000 and up when there are a lot of custom options added. With our cabinet refacing system you get all new doors and drawer fronts, new soft close hinges and custom panels and trims. You also have the options of adding new drawer boxes, custom organizers and even adding or extending your existing cabinets. It starts with a visit from one of our design consultants. We’ll discuss the options for your kitchen and give you a quote on the cost. The next step is to visit our showroom so you can chose your cabinet door style and color. We’ll also show you organizers, cabinet pulls and other options. The installation process takes about 5 days for a mid sized kitchen if there are not many customizations needed. Larger kitchens or kitchens with lots of modifications can take up to two weeks. Before (left) and After (right). Drawer conversions easily improve your kitchen storage. 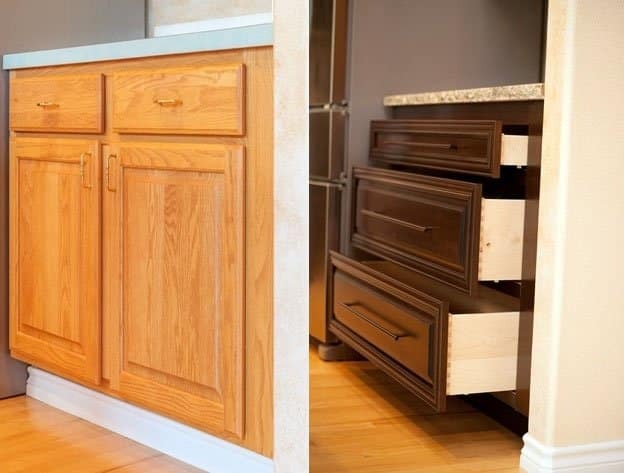 With our refacing system, we can add, extend and modify your cabinets in many ways. Our in-home design consultant will go over all the options with you and help you design a kitchen that works for your specific needs. Our doors and hardware are the best in the business. Everything is hand finished by expert craftsman using low VOC stains and lacquers. 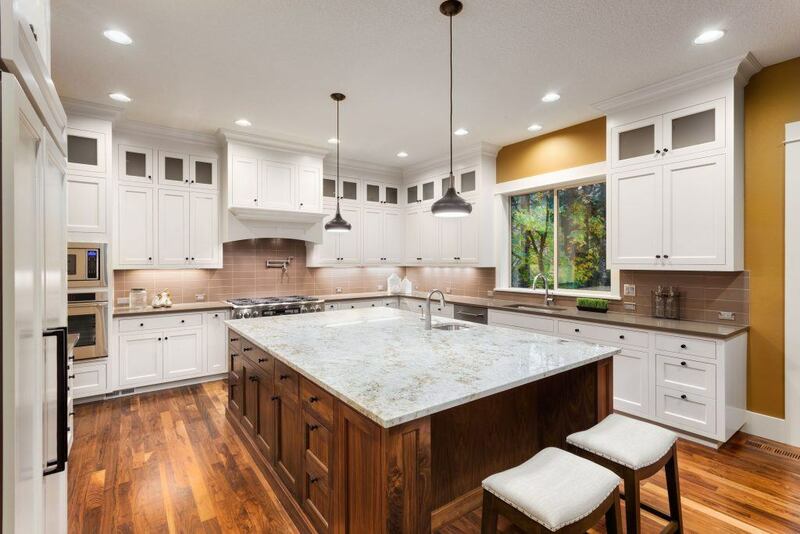 Since we provide both full service remodeling and custom cabinet refacing we are able help you decide whether a complete remodel or cabinet reface is best for your needs. About 25% of the time we visit a home for a cabinet refacing estimate it turns out that new cabinets are a better solution.